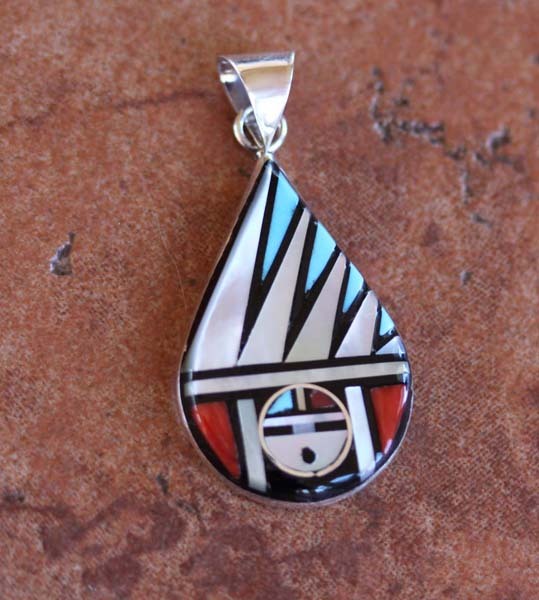 Very nice, Zuni pendant. It is made from sterling silver, turquoise, coral, onyx, and mother of pearl. The pendant is about 1 5/8" in length including the bail and 3/4" in width.